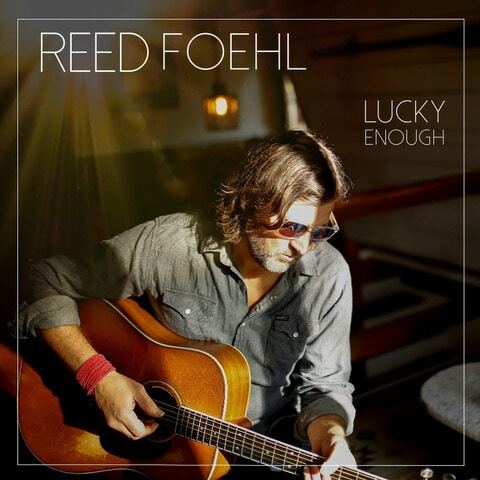 With the Feb. 1, 2019, release of Reed Foehl’s fifth solo album, Lucky Enough, fans will get a dose of powerful medicine, a cathartic collection of 10 songs that Foehl recorded with help from a mighty musical force, The Band of Heathens, at their Finishing School studio in Austin, Texas. It’s an album that will undoubtedly solidify his standing as one of the most compelling and vital Americana artists around. Isakov co-wrote the debut track, “American Miles,” a road song that was inspired by traveling and the great american landscape. Glide Magazine premiered the song and writes, “…the vocals in the beginning immediately conjure images of staring out the window of a car as it cruises along a lonesome highway at sunrise. Foehl keeps the instrumentation sparse, letting a lightly picked acoustic and the quiet thumb of a drum create the groove while the occasional flourish of a piano and a tambourine. His vocals have a dreamy folk quality that reflects the quietly reflective lyrics.” Listen to “American Miles”→ http://bit.ly/AmericanMiles_GlidePremiere. On Lucky Enough, Foehl touches on a range of Americana styles, all with emotionally charged lyrics and can’t-get-out-of-your-head choruses, from somber folk elegies (“Stealing Starlight” and “American Miles”) and gospel-tinged tunes (“Carousel Horses”) to barroom country singalongs (“Long Time to Make Old Friends”) and jaunty calypso-flavored, country-infused pop (“Wish I Knew”). These are deeply personal songs for Foehl, and while they were written during some dark days, there’s a sense of optimism and gratitude, an overriding feeling that the hope outshines the heartbreak. A New England native who had long lived in Colorado, Foehl was making a big move, heading to Nashville to continue his craft as an artist and a songwriter. That made sense after co-writing the leadoff song (“Fly”) with up-and-coming country singer/songwriter Brent Cobb on Lee Ann Womack’s 2014 GRAMMY nominated album, The Way I’m Livin’. While he cared for his mother, Foehl kept at his songwriting, thanks to the sponsorship of a longtime friend and hockey teammate. Keeping the creative flames burning was vital. “It’s not just what I do, it’s who I am. I’m writing songs so people can hear them and so I can be OK. That’s really the gist of it,” he says. In addition to Quist and Jurdi, the other Heathens playing on the album include Trevor Nealon (keyboards), Jesse Wilson (bass guitar), and Richard Millsap, (who played drums as well as electric guitar), along with Geoff Queen on pedal steel. Lucky Enough, which will be released on Green Mountain Records, was engineered and mixed by Steve Christensen and mastered by Fred Kevorkian. Foehl’s solo career has been bookended by loss, losing his father, Billy, in 2001 around the time Spark came out and then his mother preceding Lucky Enough, with three albums in between — 2007’s Stoned Beautiful, 2009’s Once an Ocean and 2014’s Lost in the West. Growing up in Dover, Mass., his parents were a huge influence for Foehl, filling the house with John Prine music and playing for decades together in a bluegrass/country band called The Centre Streeters. His parents encouraged him in his musical passion, regularly taking him to Boston, where he cut his teeth as a performer, busking at the Faneuil Hall Marketplace at the tender age of 11. For more information and updates, please visit www.reedfoehlmusic.com, www.facebook.com/ReedFoehl, www.twitter.com/reedfoehl, and www.instagram.com/reedfoehl.